Bacterial infections cause substantial morbidity and mortality in cancer patients. These infections always remained enigmatic due to initial reluctance of cancer researchers in understanding their etiologic potential. Etiological association of bacteria with cancer gained credibility after discovery of carcinogenic potential of Helicobacter pylori. Moreover, other suspected associations including Salmonella typhi and gallbladder cancer, Streptococcus bovis and colon cancer, Chlamydia psittaci and ocular adnexal lymphoma and Chlamydia pneumoniae with lung cancer, etc. are looking for a legitimate appraisal to unravel their etiologic potential without prejudice. In contrary, bacteria also show protective role in certain types of cancer. Certain agents derived from bacteria are successfully in practice for the management of cancer. The integrate association of bacteria and cancer is evident in both positive and negative aspects. 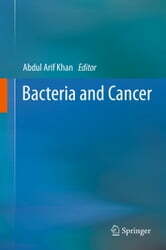 The role of bacteria in cancer etiology and treatment is vigorously studied since last few years. Present book tries to provide current status of research undergoing in above direction, with the glimpses of future possibility for using microbiological knowledge in the management of this deadly killer. This book will interest specialists dealing with cancer associated infectious complications, researchers working in the field of cancer biology, teachers and scientists in the field of microbiology, biotechnology, medicine and oncology. 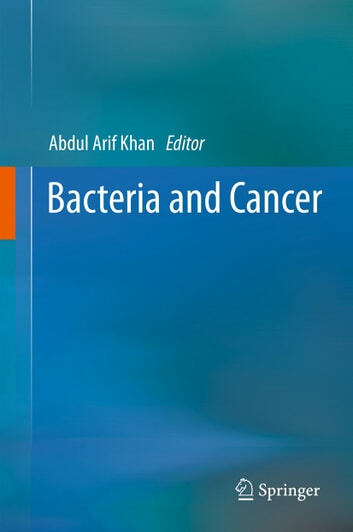 The unique coverage of bacteriology and cancer association in both positive and negative way can usher into development of novel thrust area for microbiology students and experts.